Content note: this article contains references to sexual assault. At a recent bop, coming several months after Ben Zand’s incisive documentary on the allegations surrounding R. Kelly was released, ‘Ignition (Remix)’ was blasted through the loudspeaker. A synchronous mass of drunken students grooving to the refrain of ‘bounce, bounce, bounce, bounce, bounce, bounce, bounce’ suffocated my senses, dominating the buzzing setting. No signs of outward distress, at least to me, to be seen. I, on the other hand, froze upon recognising the voice of the man whose sound dominated an embarrassingly sizeable portion of the soundtrack to my formative years. I felt violently ill for a moment, unable to distance myself from what I was now wholly aware of, yet without a direct connection to: this monster I had once called one of my favourites only two years prior. Until now, I have been unable to untangle myself from the knots of humiliation that form in the depths of my consciousness, when moments of pleasure arise from listening to a verse from some R. Kelly tune for which I once had fond memories. Fleeting pleasure, prolonged shame. Finding out that a beloved artist has acted unforgivably is indeed a life-altering experience. I cannot recall, and I would rather not, the exact moment I realised listening to R. Kelly would no longer cohere with my conscience. As a survivor of sexual assault, it was especially distressing to know I had been supporting the music of a man who groomed a 15-year-old Aaliyah, another artist whose music I grew up loving. A man, whose fame for having been caught on tape peeing on an underaged girl sexually, matches his musical fame. How could I not have comprehended my complicity earlier? At the peak of my R. Kelly phase in 2012, he was well-established as the man on the pee tape. I would crack jokes on the subject matter. 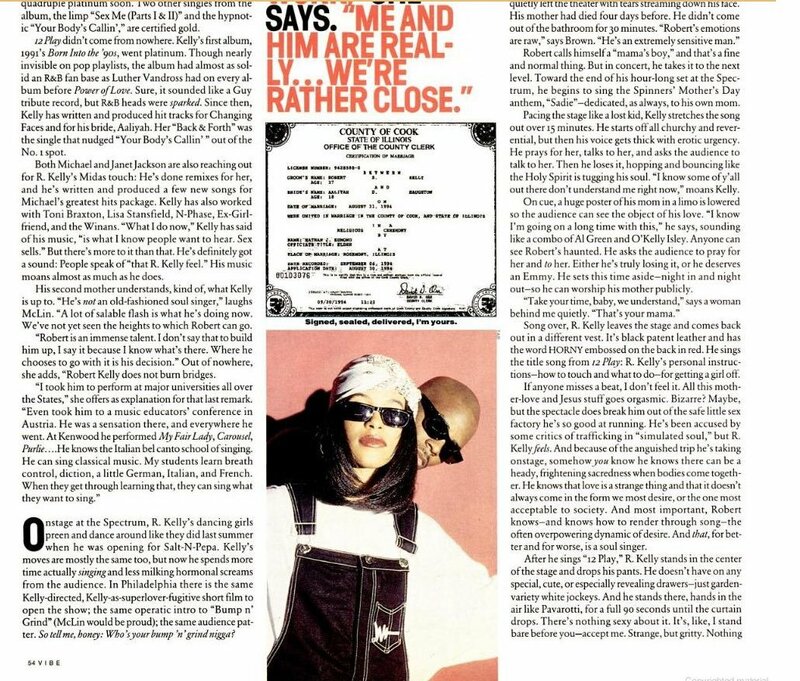 I found a now-infamous video of R. Kelly and Aaliyah on BET, where Aaliyah called Kelly her “best friend in the whole wide world” in response to allegations of a relationship between them – a sentiment Kelly reciprocated when he thanked his ‘best friend’ [Aaliyah] at the 1994 Billboard Awards. Music magazine Vibe later revealed a marriage between the pair. I was blinded by my love of his music. 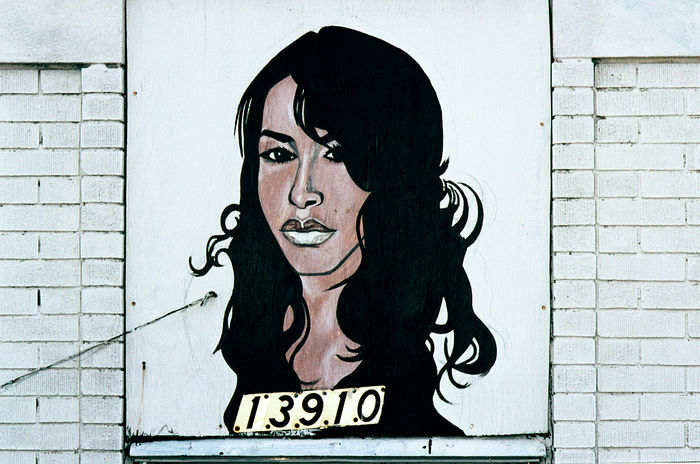 Engaged in a wholesale purchase of an insidious idea, I saw the relationship between Kelly and Aaliyah as one of forbidden love, spurred on by my own problems with having fallen for much older men as an impressionable teenager. I projected my romantic desires on what was a clear instance of predatory behaviour. I was Aaliyah, and the object of my affection was R. Kelly. Except that she got him, whereas I never did (thankfully). I gained inspiration from Aaliyah’s crooning, about how her love for someone whose “age ain’t nothing but a number” would remain unchanging in a song penned by, you guessed it, Kelly himself. Only years after did I truly understand the truly poisonous implications of a 27-year-old man wanting to marry a 15-year-old (spoiler: it’s never about love), but this was also before I had denounced Kelly’s music permanently. Today, revisiting R. Kelly is always a matter of pain. The bop is an instance of how we are all quite capable of being complicit as fans of problematic artists. I’m certain most, if not all, of the attendees at the bop were not inherently bad people, but it is far too easy to turn the other cheek when you are blinded by your enjoyment. When the temptation to revive the pleasure I once derived from his music resurrects briefly, even if it lasts a mere ten seconds, I would automatically remind myself of why I stopped listening to him. R Kelly’s lyrics seem to me exactly like the person he is now known to be – sexually denigrating, narcissistic and simply vile. As an English major, I am often taught to distance the writer from the craft. When the lines are blurred between art and reality, however, that is when you know you must take a stand. Much like Ted Hughes, I perceive Kelly’s work as an extension of the man, but I no longer allow him to profit off my enjoyment. Instead of consuming anything made by a once loved monster, take a moment to listen to those whose lives have been altered irrevocably by their actions. In my case, watching Surviving R. Kelly has been more of an eye-opener. In this important documentary series, survivors vividly describe the horrors of being involved with Kelly – I can only apologise to them for having not heard their experiences before.